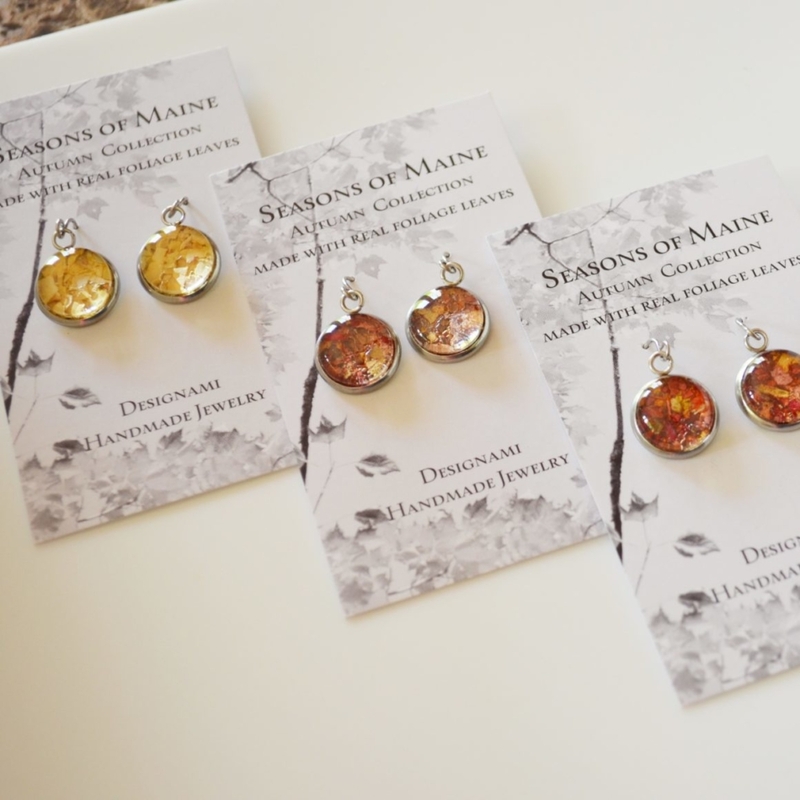 Designami jewelry features the Seasons of Maine Collection that is inspired by the beautiful changing landscape of Maine. 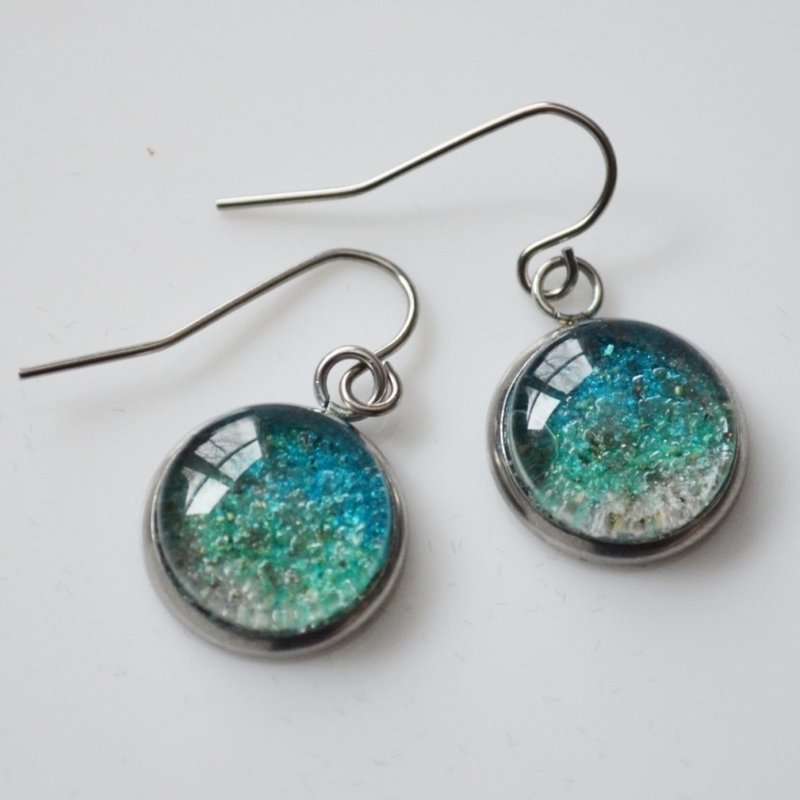 This jewelry line is a little piece of Maine captured in earrings and pendants. It is the perfect gift for the Maine traveler and sight seer or the homesick Mainer. 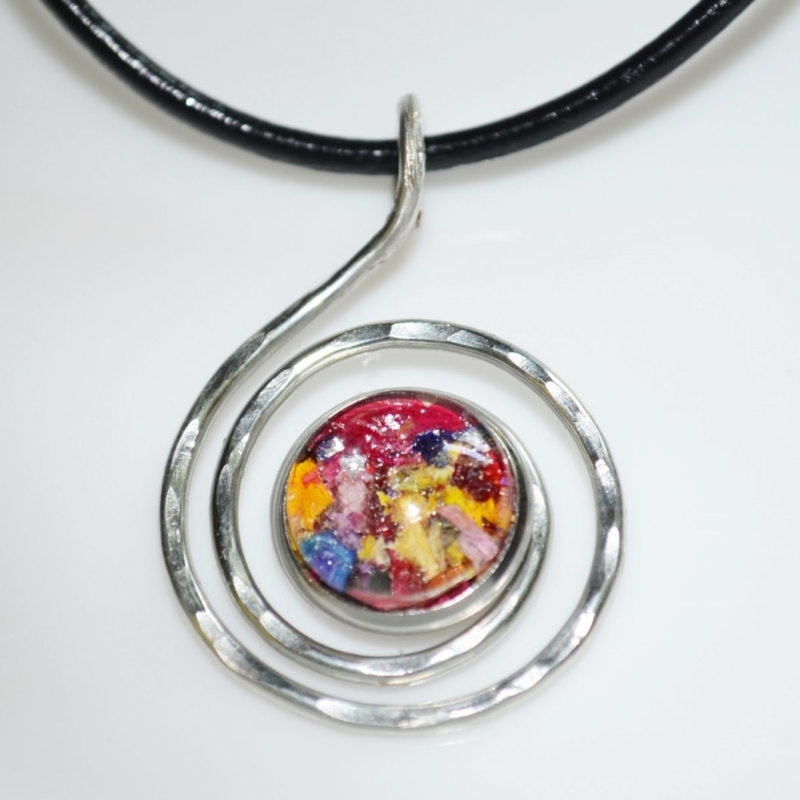 Each piece is unique and created using organic materials set in stainless steel settings. 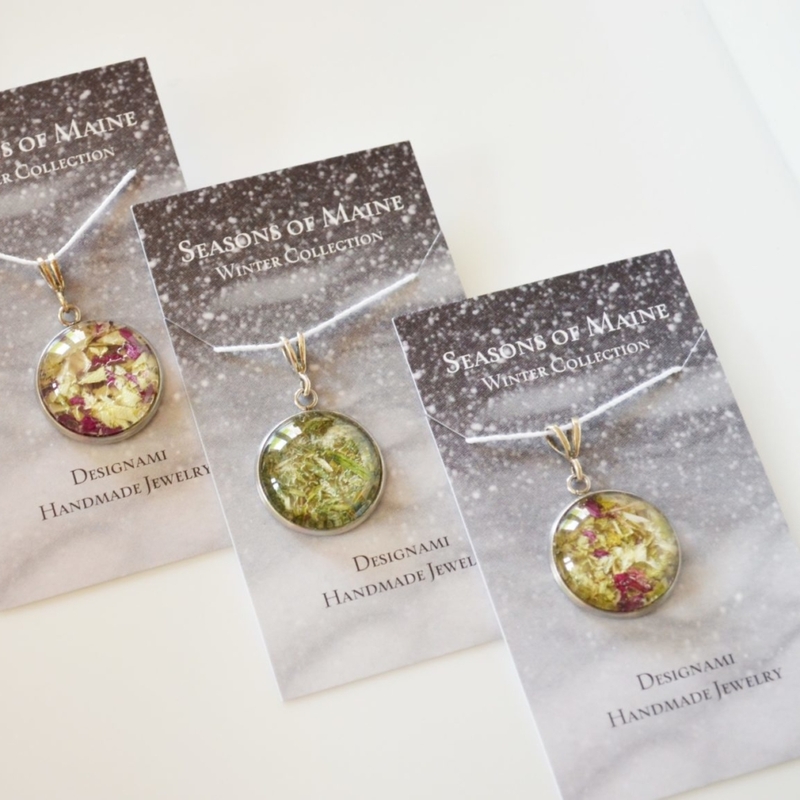 The Spring Collection features jewelry made with real Maine grown flowers primarily grown in my flower gardens in Limington, Maine. Common flowers used are: Peony, Geranium, Blue Hydrangea, Sunflowers, Blue Bells, Rhododendron, Roses, Iris, Lilacs, to name just a few. The Summer Collection features jewelry made with beach sand from Maine beaches. The sand is accented with a variety of blues and greens to represent the colors of the ocean. The Autumn Collection features jewelry made with real Maine foliage leaves and the vibrant colors of red, orange, gold and green. The Winter Collection features jewelry made with either Holly leaves or Pine needles and accented with red or white peony flowers.